Students may be ready to relax for the summer, but an enthusiastic group of Bay Area teachers are already working with the world’s top companies to get new skills and experiences they can bring to their classrooms. On Saturday, teachers from across the Bay Area joined Ignited’s CEO, board members, and coaches to kick off their annual Summer Fellowship Program. Ignited, is a Bay Area-based nonprofit that for the last 34 years has been connecting teachers with top companies to transform STEM learning. 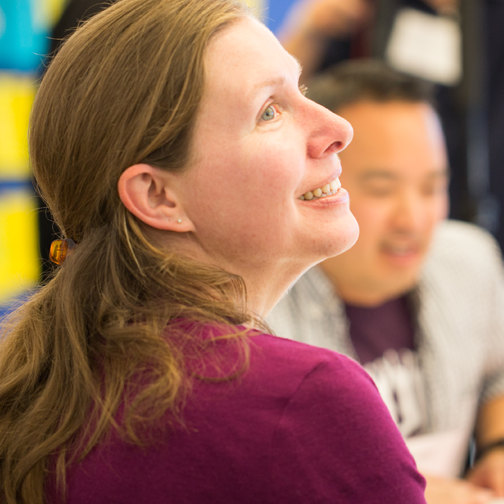 Teachers get unique opportunities to do hands-on work for eight weeks with technology leaders like Amazon, Genentech, Google, Lockheed Martin, Oculus, Stanford, and many more. They bring their experiences back to their classrooms and turn it into interesting new curriculum, experiments and ideas for their students. The program is different because it builds better partnerships between companies, communities and classrooms. Students hear directly from their teachers what it’s like to work at well-known companies. They see how the skills they’re learning can be used in a wide range of industries, from consumer technology to pharma to aerospace. Ignited is a 501(c)(3) nonprofit in Silicon Valley focused on transforming STEM education. Our mission is to connect business leaders and scientists with teachers to transform the classroom experience, inspiring students to become the next generation of innovators. We were founded in 1985 by a consortium of technology companies and universities. Originally called Industry Initiatives for Science and Math Education (IISME), we’ve provided fellowships for educators in the SF Bay area and beyond for over three decades. Going forward as Ignited, we are expanding our programs to accomplish even more and change the future of education.